Recently, the bacteria Staphylococcus aureus was detected in a batch of Sanquan dumplings. 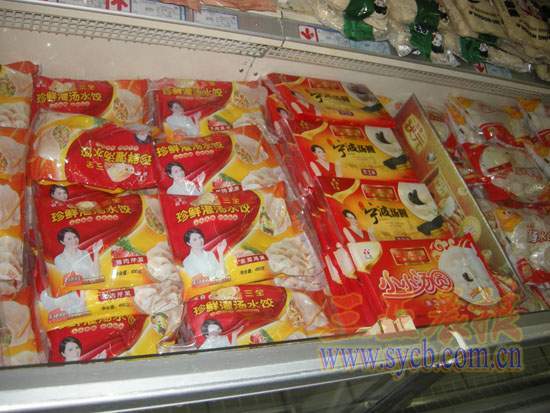 In response to the report, most supermarkets in Sanya have stopped selling Sanquan brand’s dumplings. “The health of consumers is our top priority. We have asked our staff to take Sanquan dumplings off the shelves”, after the media exposure to the dumpling scandal, the Wanghao Supermarket immediately stopped selling the problematic products. According to food quality supervision authorities, major food brands including Sinian, Sanyaquan and Daniang are on the blacklist containing the potentially deadly bacteria Staphylococcus aureus, which can cause staph infections. At present, most of the supermarkets in Sanya have withdrawn the products from their shelves.